"Getting Better Since SAP Acquisition "
I like how the system has been improving the past 3-4 years, especially since SAP acquired them last year. The best part is how you don't need to know how to code to be an admin of the system. Some basic formula writing and deep knowledge of Callidus is an obvious must, but you don't have to be a developer to design a good system. Also, the system is very capable of handling incentive management for hundreds and even thousands of employees. Very flexible regardless of company size. The classic/legacy user interface was extremely difficult to use. This created a huge barrier to adoption as a new user and a new admin. However, Callidus both pre- and post-SAP acquisition has made great strides toward improving the user interface. Callidus Commissions is the best tool on the market right now, in my opinion. There are other big players in the commissions game but Callidus is headed in a promising direction ever since SAP acquired the company. It has only been a year since the acquisition but the improvements have been substantial. The changes are so good it not only helps me enjoy using the tool much more than a few years ago but also has increased the ROI dramatically in the form of increased accuracy and cost savings. Callidus support has gotten dramatically better over the past year as well. My company had to move from manual commission/bonus calculations with Excel spreadsheets and emails to a robust, automated tool which passed internal audit standards and saved us hours of work per week. We needed efficiency, accuracy, transparency, and flexibility. Prior to this, administering the bonus plan was riddled with mistakes and inefficiently time-consuming. Callidus changed that for me and my team. Applying changes to our incentives plan every year might take some time but the overall net time and money it saves us is immeasurable. The are many great features of this product. The ability to create multi, cross organizational relationships is probably the best one. This function has allowed us to implement new sales strategies that were impossible before. Another great feature is the ease of use of the product. Our speed to market is no longer measured in months or weeks but in hours. Plan changes can be submitted in the morning, fully implemented, tested and delivered to the market that afternoon. The last great feature is the CallidusCloud support team. They are available 24/7. They are always engaging and will work tireless to resolve any issue. The product does require us to use specific versions of Java and Firefox on our local machines. This has caused issues with our IT department and firewall team. I have been using the Callidus suite of products for over 11 years. 9 of those years was on premise. The last 2 have been using their cloud. I have seen a lot of vendors enter and leave the market over that span. Callidus has been a leader in this field because of their dedication to the customer and their product. The product is ever evolving based on what they learn from their customers. It is a great relationship. We needed a more productive way to pay commissions. Our old process was slow, cumbersome, not cost effective and disliked by our auditors. The CallidusCloud product solved all these issues. Especially with the auditors. We pass all internal and external audits easily now. I like that the software allows you to track and retro calculate commissions if it needs to, and there is no restriction on how many times or how far back you can go (assuming that you have available data in the system). There are some hidden bugs that relate to running the pipeline, and it is very sensitive in regards of what and when you are scheduling the pipeline. Also, software doesn't have commonly accepted functionality of backdating termed employee without doing some minor workarounds. Also, super big lack of documentation on user security and understanding of the system. You always get referred to community, but if you don't know what you are looking for, it is little bit difficult to search for proper information. Need to have a glossary of the software and detailed explanation of ALL user/customer responsible functionalities. My recommendation: Be sure to provide all aspects of your compensation plan. Also, be sure to ask upfront for all templates that were used to upload your data (ODI, Org Chart, Rate Tables, Look-up Tables, etc). Eliminating the inaccuracy in calculation by using the excel models. Consistency in calculation. Visibility for sales reporting and their pay. "Consistenlty Gets the Job Done "
- Flexibility of commission calculations: keeps up with all of our sales managers big ideas of how to drive sales via incentives plan design. -Ability to customize the commission rules to support internal reporting. -Easy to train staff on. There is a range of basic to advanced functions so staff at all technical levels can feel comfortable using the product but there is enough complexity at the deeper levels to keep people motivated to enhance processes and find new ways to pay. -Troubleshooting is lacking: if a rule is written wrong sometimes it's time consuming to figure out why it doesn't work. If there was a rule diagnostic function it would be amazing. -OnDemand Support: when smaller technical issues arise it can take awhile to log a case, get it picked up by support, then bring the person up to speed on your specific environment. Major issues are always worked on right away, but it's the smaller (but more frequent issues) that can be a drain on time/resources to get resolved. -Having an automated system that can administer our complex and dynamic incentive plans, all while passing our internal audits, external audits, and SOX controls. -Having a centralized database that holds all of our commission results instead of multiple excel spreadsheets. -Benefits: consistently accurate calculations due to the automation leading to a satisfied distribution teams. Cost savings on customizing the system internally instead of needing outside consultants. "A single platform for various comp plans"
With such a wide variety of comp plans, a workflow tool was critical. We also use the Callidus Workflow tool and while we find it satisfactory for a simple workflow, designing more complex workflows in the tool can be just that, complex. For us, the single platform was a must. Coming from having various disparate systems and excel spreadsheets supporting multiple business units to the goal of a administering all plans on a single platform. We are still in process, but the tool is working well. Callidus Cloud allows for me to see each deal I've closed for the month and also hit the (+) expand button to see the product details or breakdown of each and the $ amounts associated with it. I noticed sometimes there can be duplicative data. For example the same sales showing up accidentally twice. Provides sales reps in the company with their current sales information as well as what their actual sales are vs. their monthly sales quota. The benefit is real time transparency into the deals that are booked/sold in the sales system so the rep and manager has the sales report to review in their 1:1's. I really like how easy it is to look up and find my commission. It even breaks it down to the individual sale per activation. The most impressive part about this program is that I am able to look up my commission freely and on my own time. I do not like how it may take a couple of days for the commission to update. I also do not like how the commission website may be down days at a time. I wish the updating was done daily and also wish the website stayed online more than offline. Having this software has increased our productivity. It has increased productivity by making commission goals and quotas more assessable to individuals. able to self help themselves regarding commission. "I've been using Callidus professionally for the past 6 years"
Callidus Commissions is the market leader in the SPM space. I like how each step of the calculation is pre-defined, but configurable within each step. Make use of the callidus community. There's a lot of good resources there. As an SPM professional, I have developed many different configurations of compensation plans with Callidus Commissions. It can handle anything I've tried to configure. I have also built some useful reporting based on the database schema in the back end. - Date Tracking. Almost everything in the Application is Date Tracked, which gives a very good audit trail which one would like for compensation related application. In addition one can make changes impacting future calculations. - Configurable: framework of Callidus allows one to configure the application as per you company need at the same time get benefits of Cloud application. What I meant to say is you define variables and for a variable you define another variable. Flexibility about rules, variables, classifiers, territory, lookup table on and on and on. - Navigation and Functionality of Related Transaction: We have compared some other vendors but compared to them again I think this functionality is awesome, not going into the terms used in Callidus but for general people you can look for an Employee, find the transactions which impacted commission, then go to find the payment and deposit. "Related" Transaction functionality is nice. Results are most of the time easily exportable for further analysis, either single user or multiple user. -Some aspects of Reporting: For employee to have more of dashboard and interactive reporting instead of running a PDF report. Also managers to have a comparative view of their direct report more in a dashboard fashion. - Interface for Territory, we have a complicated territory structure so would love to have some easy way to manager it. - Have a dedicated support team, something like a pool of support staff serving a particular number of customer therefore when we raise a support ticket they already know how we are configured and what kind of issues we raise and more then anything they know us and we know them :). - Flexibility to Customize Plans and ability to Pay in Multiple Aspects, therefore having a motivated workforce. - Not needing much support, something which can be enhanced and supported Internally therefore less cost. I'm not sure if there is anything that I particularly like about this application. I do admire how the system can be configured to do almost anything, but if the performance is poor, then there is no value gained anyways because nobody will use it. Delays in searches, double clicking every GUI before it does anything, freeze ups, having to log out and log back in again just to pick up where I left off, Lookup Tables are horrible to update or populate, the interface doesn't always display what is in the lookup table cells, sometimes things disappear until you log out and log back in again to find that they magically reappeared.. The split screen is very tricky to click and drag, Searches don't always bring back results, even though there are results displayed in identical searches performed previously. It takes a long time to load up when first logging into Incentive Management.. I can keep going, but I'm getting frustrated thinking about how this thing is destroying my soul.. The ODI drop box holds some of our files in the "waiting" folder and the support staff can't explain "Why" this is happening.. speaking of support.. the front line support staff must be reading a script because the advice of "Clear your cache, reinstall java, close your browser, restart your machine, etc" are all bogus "solutions" - and I've heard that "solution" more than once already for different issues.. This system stresses me out! overall I can't believe this UI is being used in the market and that Callidus still has any business..
No problems have been solved yet.. we are still trying to get this "thing" implemented..
"The only limit is your imagination"
What i like best about Callidus TrueComp is that it can handle a ton of complicated calculations without too much effort. Anything the business needs can be translated into compensation rules with ease. Everything is possible, it just takes some patience to build the rules and then you are good to go. I dislike that the software requires java in order to run. Having to maintain an older version of Java in order to access the software is insecure as well as unreliable. At times the java will fail and you have to continue to troubleshoot. Callidus is continuing to progress, it is good to be with a company that will improve itself. We are solving the problem of not having our processes automated. While our company is trying to move towards SOX compliance this is a huge help in preventing auditing risk. The benefits we have realized that having things in a system like Callidus will save a ton of time for the employees that calculate commissions. "Functional, but Completely Misses the Mark on Customer Service"
The tool itself works and is robust. Provides data centers and protection that meet EU requirements. Service & Support - missed handoffs, blown deadlines and delays in remedying issues or handling simple requests. Get it all in writing ... every last conversation. (Especially about the project scoping.) Define to the last detail what "out of the box" means. Get examples of every table, report, dashboard, etc... work backward from reporting needs to building your plan rules. Sales rep visibility to key metrics and pay is increased. Reliable algorithms replace ad-hoc spreadsheets and databases for increased repeatability. Callidus Could Commissions allows quick decision on commissions without any need for manual intervention or MS Excel. Accurately and quickly calculates the commissions due. The ability to version each Callidus objects without affecting previous versions. Callidus has an extremely lengthy period of downtime in between release dates. Capability of importing Territories, RateTables is lacking. Should have ability to change userid as required (last name change, marriage etc) & maintain the link to previous/existing reports. Ease of creating crystal reports. If you are looking for an Sales performance management application, Callidus is definitely the choice. So far, this has been the recommendation by Gartner too. - Enabling Sales reps - Sales reps have more details and information on their commissions being paid. It saves us time in not having to answer tons of questions because they now have the information. "CallidusClous Commission has ensured accurate payment of Commissions for our retailers"
The flexibility and ease of configuration of the tool, I have used the tool for over 12 years and have seen it go from strength to strength with it's innovation and addition of functions. I look forward to using the tool in the future. The other thing I like best is the reliability of the product. Here we sometimes liken it to Ronseal as it does what it says on the tin. our business users are very happy with the product and are using it to calculate commissions for further sales channels. Sometimes over the years we have found ourselves in a position where we have had to change our strategy due to changes of the direction of the product and this has a times been a painful process. prior to using this product we were using an in house solution which required constant development every time a change was needed. This product allowed us to put the solution back in the hands of our business users to empower them to change things as the need arises. The system has also helped use get away from manual solutions to some aspects of the process taking away risk and increasing accuracy. "CallidusCloud Commissions = Life Saver"
The fact that it is a single source of reporting and calculation has made it simpler to run a commission cycle and has created more trust with the sales team that their payments are correct. There could be more flexibility in the reporting for the end user. This has been improving recently with new additions, but there is still room for growth to allow the end users more flexibility in their reports. The main problem is that we were needing to more with less resources. Callidus has allowed us to process our commissions in a more timely fashion while allowing the flexibility to easily add different components. In the past, adding different SPIFFs or compensation structures, would have taken weeks to calculate and set up and with Callidus it can all be done in a day. "Takes some getting used to, but well worth the effort"
The sales force visibility via the customizable dashboards was a huge step up from our legacy monthly reporting. Making this visible with daily updates was the key to changing our comp. strategy and ultimately starting to drive behavior. The interface can be cumbersome, and even with an implementation team, the learning curve on the system take a lot of time to be comfortable with. The secondary development workspace helps, but it takes at lease 6 months to feel truly useful. Budget for good implementation, plan for ongoing support. We changed our entire compensation plan for 2018, and showing daily progress on the dashboard has been essential for adoption. What I like best of CallidusCloud Commisions is their support. When ever I've had a question or needed guidance with something, their representatives were very attentive and thorough with their help. There are daily emails for UAT, DEV and PROD notifying me of products being back online. I wish there were combined so they wouldn't fill up my inbox. However, I can see how they would want to make sure that there isn't a mix up. Like any product, make sure that you document processes and create How-To documents so that knowledge can be past on to new employees in your company. My job is basically a Tier 2 support position. I'm very thankful that there hasn't been any issues that have been reported to me. CallidusCloud is a solid application, which makes my job easier. I'm also Tier 2 support for several other applications. Caveat: This is the first week of UAT. Ease of navigation, UI interface, drop down menu's, point and click. Hover messages over data displaying full details. Multiple scroll bars for UI. should fit to page or one scroll bar. Multiple cases of missing functionality. Pagination without ability to select default. Some drop down menus disappear even upon hovering. Ensure that all requirements are met and not to be delivered. Callidus turnaround time for support calls are not as timely as required. NetSuite ticketing system for support is quite good. Commissions will be better than Incentive Management. Java dependency, even for offshore teams. No benefits at this time, ease of use and increased system performance is negated by the missing functionality. There are multiple workarounds. It's an all in one tool. The Truecomp manager is more improved and Report generation is so quick. I have used this tool to make commissions paid to vendor automatically rather than manual excel calculations. Crystal reports dynamic publication using callidus is pretty easy. Coding in trucomp is not that complex. Best UI in the latest version. Sometimes the performance of the tool is slow. When you publish reports multiple times here, the publication process takes much time. Some times you need to call the support to kill the process and start over again. Support team takes it own time to fix the issues raised. Truecomp manager some times crash. Best in class tool in the Market. Would definitely refer, but depends on budget of your business. I work daily with Callidus Commissions, it is flexible, dynamic and very reliable, I recommend it to pay commissions for employees, clients and companies. You need a fast internet connection cause Callidus is in the cloud. It is a requirement for not delay the application in bringing the results. Sometimes you have to wait to see the data. 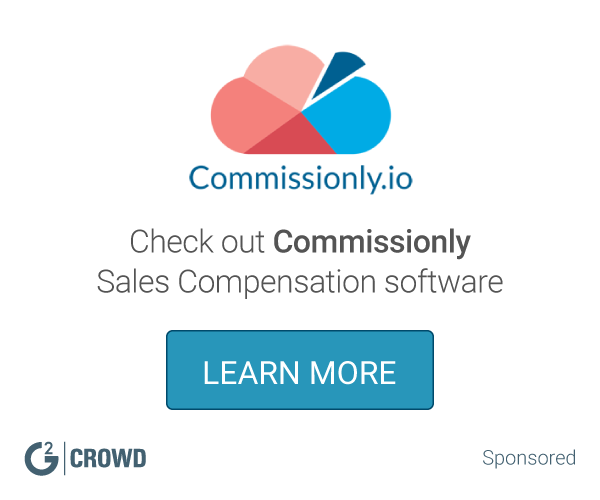 "CallidusCloud Comissions solves sales related issues"
The thing I like best about CallidusCloud is how its able to help with all my sales, marketing and management needs all in one place. This has saved a great deal of time and money for our company. I also really like the pricepoint of this software, with plans starting at just $45 its an amazing deal. Overall a great product and extremely cheap for all the features that are provided. Besides the ability access the application from anywhere, one of the best features is how easy it is to move through the different components of the application. One of the aspects I dislike is the dependency on an older version of Java within the Reporting & Analytics section. If you have a Java version higher than 1.8.0_91 installed, you cannot edit existing Web Intelligence reports. My recommendation is to others considering CallidusCloud Commissions is make sure that all areas that will use and benefit from the software are included in the design decisions. Using CallidusCloud Commissions has allowed us to create more efficient reporting for senior management. "Most Reliable Incentive Calculation Engine for JPMC"
"Super Flexible, End User Experience Lacking"
The comp plan rules are very powerful and allow a ton of flexibility in calculations. When rolling out SPIFFs or plans for the new year, we require quick and accurate execution. Callidus accommodates this. Ad-hoc reporting for an admin is relatively customization (with SQL) and runs in real time. This allows for endless analytic review options and helps us to troubleshoot and resolve issues quickly. The non-admin (ie. end user) interface and reporting capabilities looks archaic. We rely on Crystal reports, which are limited in format and look/feel. We had to do a ton of customization to get what we needed for the end user reports. The end user inevitably gets the data they need, but the presentation and flexibility (ie. drill-down) could be nicer and more out-of-the-box. We calculate both field comp (ie. sales, engineers, PS, training) and partner/channel benefits out of the system. Because pipelines run quickly and reliably, we are able to present an almost real-time view of bookings/credits and resulting compensation. In our previous system, a real-time view would not have been possible. "Game Changer to running your business"
Design everything that you want to the system to do so that you can implement everything that will help you go forward. "Not The Worst, But Not the Best"
I really like the concept of Callidus - being able to automatically track sales commissions is great. When I used it, it was never completely accurate, so I was still keeping excel spreadsheets to double/triple check commissions. This would not be a big deal if I could easily keep track as to why our commissions would be off, but there never seemed to be a rhyme or reason as to why information would populate from our system into Callidus. I haven't used it recently - we switched to Xactly. I do think this is useful if your commissions are smaller or less frequent. The goal was so eliminate using Excel spreadsheets combined with reports from our CRM to manage commissions. While this helped, we would have truly solved problems and saved time if it was more accurate. "On-Premise Customer in process of moving to On-Demand Platform"
Easy to use. Performs our calculations in a timely manner. Easy to add additional groups of payees. Flexible calculation methods. The On-Premise version requires old JRE version to run instead of allowing for backwards compatibility. Our brief experience with the On-Demand version so far is that the JRE version no longer matters. Involve Callidus Solutions Architecture Consultants when you have difficult calculation situations. Also good to involve them at the beginning of a brand new implementation to get it started in the right direction. Paying and Billing Partners, Calculating royalty and payments and other revenue sharing payments. The Callidus Commission UI is a breeze to navigate! Very intuitive to work with all aspects of the comp plans and position/participant records. While the UI is GREAT, I wish the reporting was a bit more flexible. For example, we would like to display earnings over a quarter, or a year, but because we pay Bi-Weekly, the system is unable to do so. Callidus Commissions processes our bi-weekly commission calculations and produces an easy to understand report for our Sales team to consume. "Callidus gives me transparency to my commission payouts"
my old company i had to email someone about my commissions - if you want to give your sales people piece of mind, then go with callidus! "Commissions and Incentives all in one place"
Having the opportunity to have people records with their respective positions and also the company titles and also have the ability to have all the transactional information in only one place makes the commissioning work so much easier. Since you have all this information and more in only one place, you don't need to go and search information over different systems like HR and financial systems. Also you can import information using different methods, like upload templates or ODI Files, export information using csvs, and much more. This is a great opportunity to use a great and easy to manage system. Try this product and you will find all the benefits you have with it. No business problems. Callidus tech support helps you solve any roadblock you may find. "Complexity solved! Manual process gone!" The flexibility of the product. The ease of use for the administrators to end users (payees). The ability to handle complexity is by far above and beyond any of their competitors! Callidus' teams internal with their BPO/Managed Services are fantastic! The standard dashboard dials for the show up for a payee within their personal dashboard does not have the most dynamic visuals coming out of box. Reach out to current customers that use the product today, most (if not all) are willing to give excellent feedback on the tips, tricks, and successes. "Callidus Cloud - Incentive and Compensation Management"
Mostly of the setup is done by FLAT File load. We have to calculate commission very month around the world for 1000 sales rep. With all the assignments, overlays and plan letters setup in Callidus we are able to perform the operation in a very short time. "Callidus Commissions - Good Solution For Complex Plans"
I've been using Callidus for over a year now and I've had a chance to implement the product for a few of our commission calculations. We chose Callidus because of their ability to calculate some of the complex compensation structures we have. -The software can handle just about any calculation as long as we have the data to support it. -Callidus can handle many different variations of the different plans we have, all the way to the individual employee level if needed. -Callidus can handle large data loads and calculates the commission fairly quickly. -Changes to a payscale are fairly easy depending on the complexity of the change. We have occasional down times and the performance could be a little better. Think of any of the unique things about your commission structure and ask how Callidus can accommodate your needs. We selected Callidus by going through some of our unique needs with the different vendors we looked at. -Callidus has given us some reporting ability to employees and accounting that we haven't had in the past. "Easy to use and convenient "
Callidus works as a sales compensation solution and helps us manage sales compensation plans. "Callidus has put me in the Clouds"
Callidus has allowed me to better manage and calculate commissions. I am able to create and run reports that I never was able to before. It has improved my calculations and ability to provide details to sales reps on their commissions. It was kind of hard to navigate at first but I got used to it fairly fast. Sales reps have more details and information on their commissions that they are paid. It saves me time in not having to answer tons of questions because they now have the information for themselves. It has also reduced the amount of human error in the calculation. "Callidus has been the market leader since 1999"
Callidus is a Ferrarri. You need Ferrarri mechanics. It is super-powerful but not simple nor easy. Hire a hands-on technical architect who works for your company directly and is loyal to you, who will keep the project on-track and the implemenation team honest. "Powerful and configurable Commission Application"
1) User Interface seems crammed and almost always requires scrolling and "wait-times"
"Made a tedious process so much more manageable. " Our commissions model is extremely complex, and as such I had my reservations about CallidusCloud being able to handle the complexity of our business model. I no longer have to worry about triple checking manual calculations to ensure commissions are paid correctly. The "human error" that exists today with our manual calculation. Reporting commissions results to sales staff accurately. The ability to mass update people's rates, minimum wage hours, managers, etc. with an import. No more manually tracking and updating these, you can update things with one import and then just manage the changes one by one. It's hard to learn at first, the learning curve is always hard with a new system. There are several features that work but take several steps to get where you need to go. For example, getting to the calendar you want to go to takes several clicks of the mouse to get there. Make sure you have someone who is the callidus "expert" in your company. We have a callidus analyst who works directly with the callidus support group and he is generally our go-to as we learn how to use and implement the software. Then if there is a question that he can't answer or request that he can't implement on his own he'll go to Callidus directly. Rids us of manual processes. My job changed from actually calculating the payroll each week to instead managing the callidus system and make sure that callidus has the correct rules to do the calculating. There isless manual calculating which is necessary as our company is growing so we become SOX compliant. Commission calculation and representative allocation is extremely efficient and accurate. Challenging to manage crediting rules in absence of additional training. This will be rectified through direct training sessions with the Callidus team. Be prepared to invest a lot of time on the front-end of planning the project. Don't rush into "go live" for the sake of rolling out by a specific target date. It's much more important to get it right the first time around. Incorrect credit allocations to sales representatives inspire confidence in the sales team and make them more motivated to achieve. Working with David Painter! He is always very responsive and available to meet our business needs. It is not unusual for me to have a last minute request outside of requirements (oops) and he never falters to provide 100% customer satisfaction. Not being able to complete the set up/configuration of the system features (reports, plan rates..). I am coming up to speed, but find it very complex. I rely heavily upon the support team for answers for which I am glad they are there, but wish they had more knowledge on our product to assist me. The possibilities available are a good. The menus are very intuitive. There are some errors in the database that need to be reported by the client to fix it. We solve the payments and reports regarding various countries for Vodafone Global Enterprise. The friendly menus are very attractive and multifunctional, providing a good way to work with Callidus Commissions. "Great product with great felxibility." If you think of a commissioning plan, it can be implemented using CallidusCloud. following features are best: 1> easily maintainable hierarchy- products, customer, etc. 2> Templates for loading external data of large volume. As cloud solution, storage has a cap as per contract. Required detailed info on the reports storage usage. When we hit the wall on storage, and a big percentage was from reports, there is no way to get which report is consuming what amount of storage in a shared environment. Great product with great flexibility. Several commissioning plans are implemented using Callidus cloud. There are not a whole lot of cloud commissioning solutions available today but Calldus does allow you to code your organizations rules to better fit the needs. Certainly a need in the market today for solutions such as Callidus Cloud and am sure there is going to wide adoption for such services. Personally I would prefer a solution much more well integrated with a wide list of systems that would allow the reporting of such data. "Commissions has helped us become so much more efficient"
not much! Would be nice to know more how we can leverage territory and quota, but it seems we're just hitting a stage where this could be helpful. Commisussions itself, is intuitive and the UI is becoming better. provide feedback, it will be heard! "Callidus cloud helps to improve our process and payroll accuracy"
We resolved different payment cycle issues. It helps to keep managers and reps on different pay cycles. The commission calculation engine is powerful and robust to derive commissions. This is needs less tweaking in the engine to ensure the commissions are calculated and meets the SLA commitment as they agreed on . They try to go little more than they committed to deliver the solution. Callidus is very customizable for just about any need. Our organization has a very complex comp structure, and Callidus allows us the versatility we need to do it right. I don't have any negative comments about Callidus other than I wish it integrated directly into Salesforce. I would suggest taking advantage of all the features available. It's easily to overlook something thinking you don't need it when really it is exactly what you need. Our main problems solved involve all of commission errors that existed previously in our business. We have more confidence from our sales force, and we can deliver a quicker turnaround when comp models change. "Implementation and additional customizations were costly and not ideally implemented"
It works once it is set up. It supported our commission needs and was single sign on with salesforce. The initial implementation was long and costly. Not sure the exact fault, but it is a combination of our employee not fully understanding the comp plan requirements and the Callidus project manager not escalating the issue and just implementing the software in a way that was not scalable. Then subsequent implementations cost a significant amount everytime there is a comp plan change. Software is not self-service enough. Make sure to have a internal expert involved in the implementation and think of how to scale for future plan changes. Trying to automate commission and make it accurate. The end result was automated commission and it was mostly accurate. It was also not designed to scale and costs a lot to handle any comp plan changes. * We monitor all CallidusCloud Commissions reviews to prevent fraudulent reviews and keep review quality high. We do not post reviews by company employees or direct competitors. Validated reviews require the user to submit a screenshot of the product containing their user ID, in order to verify a user is an actual user of the product. Hi there! Are you looking to implement a solution like CallidusCloud?